Initial consultation: A consultation is required before moving forward with training. This will allow us to talk in depth about the behaviors you wish to modify and/or teach your dog. The consultation lasts one hour and costs $65. Online training is a great option for people who live in a rural area with not much for training options. Through the remote training program, we will meet online via video chat and I will coach you through training exercises live. All packages include updated client notes after each session along with email support and personalized training plans written by me. I will coach you live as you go through the training plan so there will be no pressure on you to know exactly what to do next. I'll be there through the whole process! 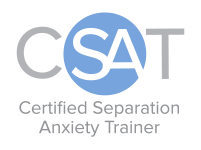 Fear, anxiety, aggression (with some exceptions), basic manners and more can be worked through via remote training so contact me today with questions or to get started! This option is also great for people who wish to work with me but live outside of the state of Minnesota.